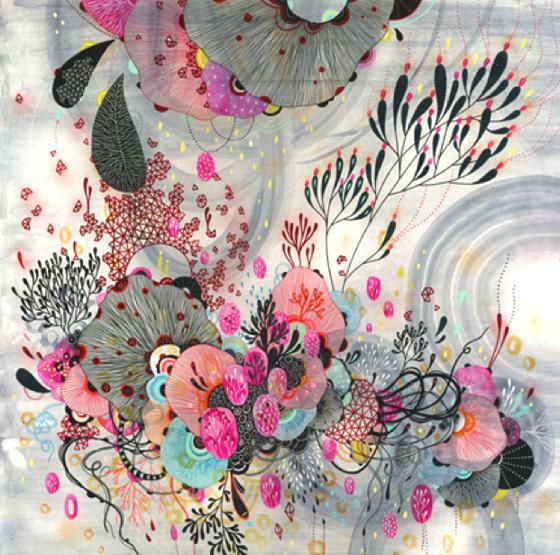 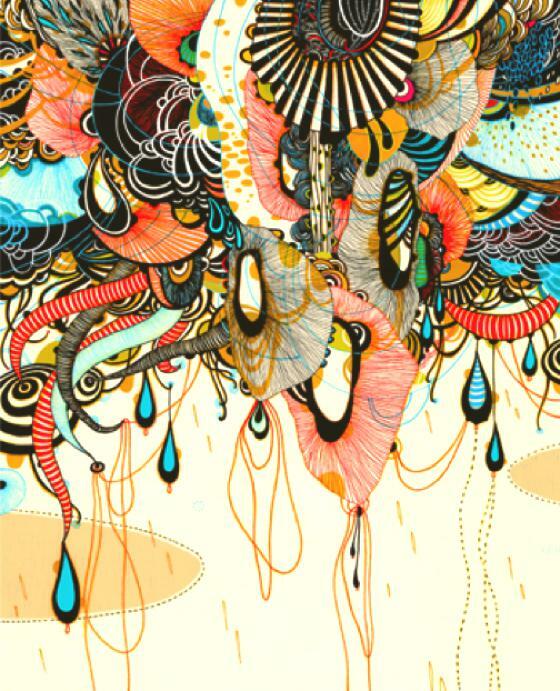 Yellena James is an artist born and raised in Sarajevo, moved to U.S.A. at 18 years old. 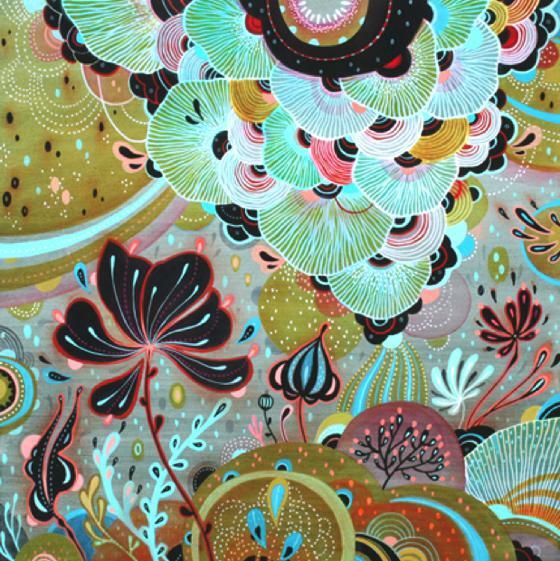 After graduating in 2002 in painting and graphic design at the University of Central Florida, she opened her own studio in Portland. 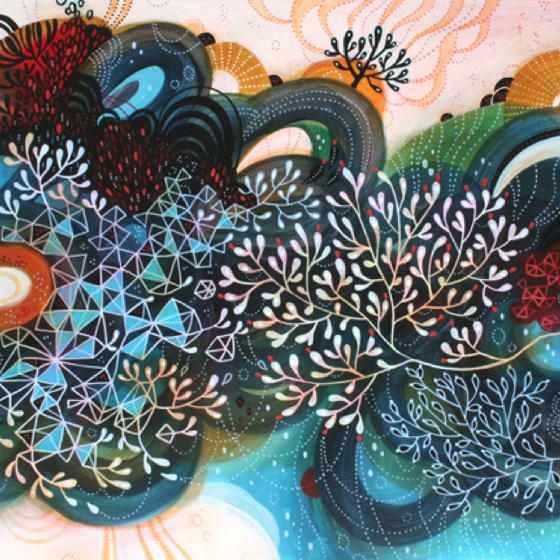 Her works, created with pens, inks, markers and acrylics, combines complex abstract forms and dazzling patterns that take its own life. 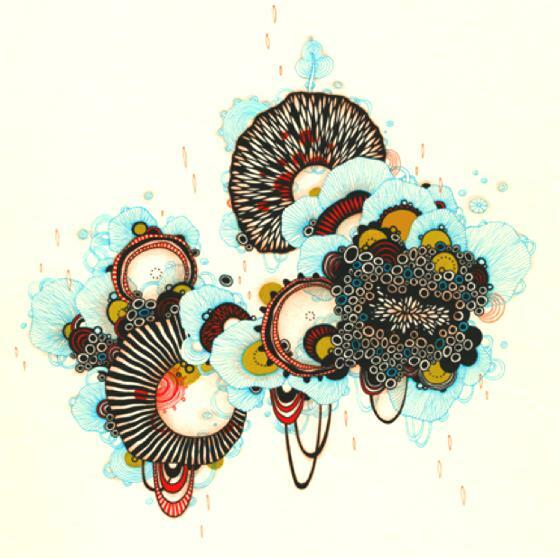 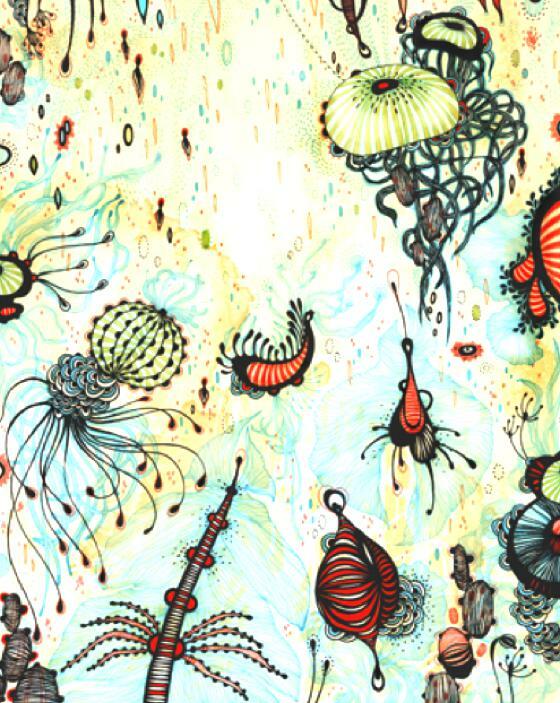 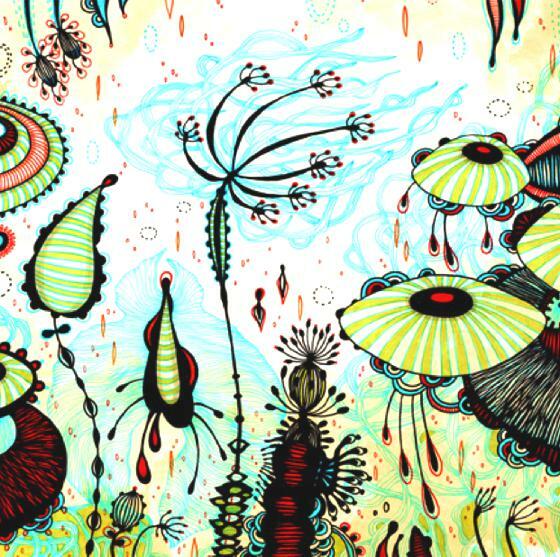 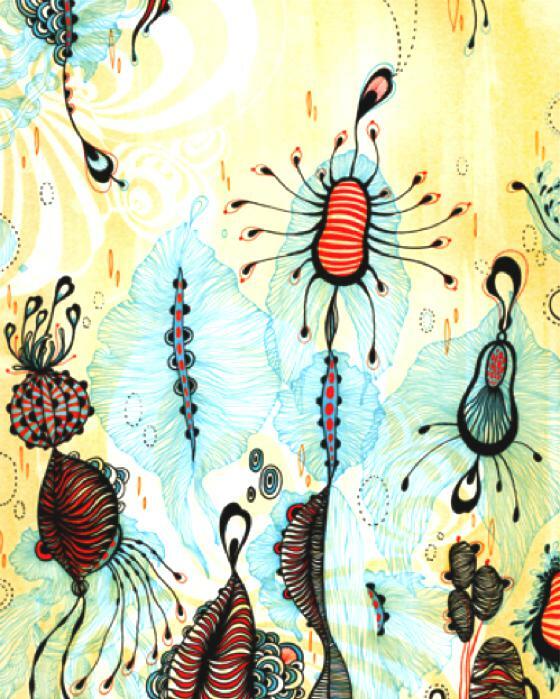 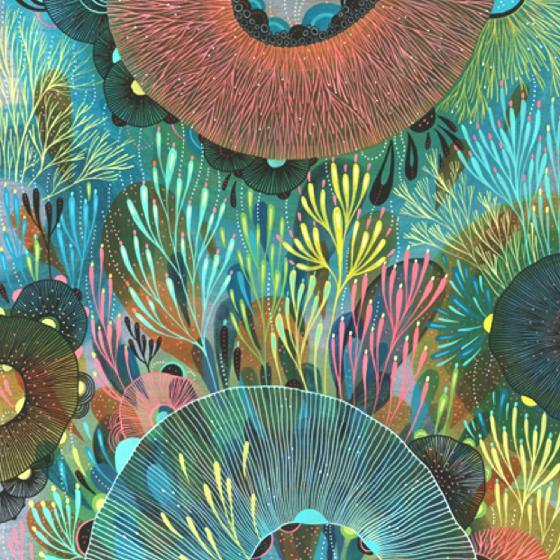 The mix of colored organic shapes and tangled lines are at once floral and alien, organic and sci-fi.